Sony has recently announced its latest flagship smartphone powered by a Snapdragon 800 Quad Core mobile processor – the Sony Xperia Z Ultra. Just before its official launch date, rumors were already spreading on how this new Ultra phone will look like and how powerful this phone is going to be. The Sony Xperia Z Ultra boast several features that will surely make you want to have this phone. Below are 5 things to get to excited about this phone. The Sony Xpera Z Ultra is built with Qualcomm Snapdragon 800 Quad Core processor clocked at 2.2GHz. According to benchmarks, the Snapdragon 800 is faster than Samsung Exynos Octa core processor that is currently being used by the Galaxy S4, and of course its definitely faster than its predecessor Snapdragon 600, that is powering its little brother the Xperai Z. The Samsung Galaxy S4 LTE-A (S4 Advance) is also powered by the same Snapdragon 800 processor, but according to benchmarks, the Xperia Z Ultra performs (slightly) faster than the galaxy S4 LTE-A. This huge phablet smartphone, boast a large 6.4-inch HD display at 1080 x 1920 resolution with 344 pixel density, and features Triluminos Display with X-Reality Technology, giving a wider range of rich and natural colors. This might be even better than Samsung’s Super AMOLED display. Users will definitely have a better viewing experience with this kind of display. Not to mention, it’s also equipped with Sony’s ClearAudio+ and Xloud loudness enhancement, making this phone a better entertainment mobile device compared to other smartphones or phablets. Just like its predecessor, the Sony Xperia Z Ultra is IP58 certified, Meaning its dust proof and water proof. It is water resistant up to 1 meter deep and for 30 minutes long. You don’t have to worry about your phone accidentally getting wet anymore. The only thing left is pair this phablet with a good and high quality case and your good to go. 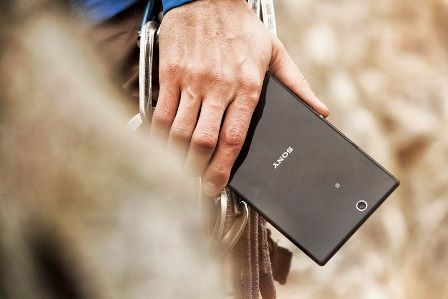 Despite its large size, the Sony Xperia Z Ultra is slim, with a thickness of only 6.5mm and weighs only 212 grams. It features what they call OmbiBalance Design and philosophy – “glass is good, thin is even better”. The Xperia Z and Xperia Tablet Z also have this design. The Sony Xperia Z Ultra is built with a 16GB of Internal Storage, giving you plenty of room for apps and games you can find from the Google Play Store. It also has an expandable storage via a microSD card of up to 64GB, giving you more storage options for your audio and video files. 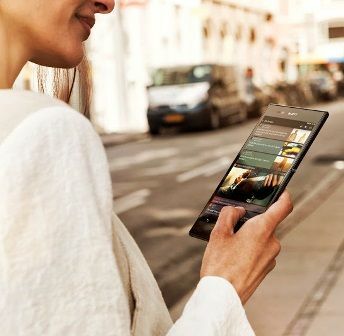 The Phablet also boast good connectivity and network options such as 4G / LTE network, NFC, WiFi 801.11 a/b/g/n/ac, Dual band WiFi, DLNA, WiFi Direct, WiFi Hostspot, Bluetooth 4.0, micro USB2.0 (MHL) and USB OTG. One thing that bothers me is that this phone draws its power from a 3,000 mAh Li-Ion battery only. That might be inadequate for a phablet with a huge 6.4-inch display and a quad core processor clocked at 2.2GHz. 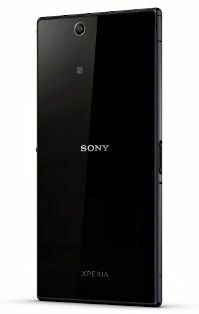 The Sony Xperia Z Ultra price was not officially disclosed yet, but there is a report that this phablet will cost €719 in Europe. It is expected that this phone will be available worldwide by the end of Q3 of 2013. This might hit shelves the same time (or before) Samsung releases its Galaxy Note III.